Every inch of Belmond Reid's Palace is equipped for exceptional events. Invite friends, colleagues or clients to socialise in our breathtaking event spaces or lush tropical gardens, while a dedicated team works to ensure every canapé, cocktail and floral arrangement is crafted to perfection. 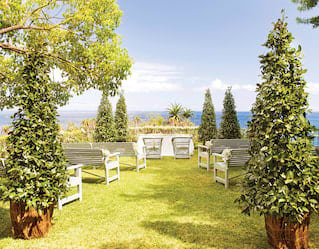 Enviably located on the sparkling Atlantic, our subtropical gardens provide a welcome backdrop for weddings in Madeira. Celebrate in our lush Palm Garden on a golden summer night. 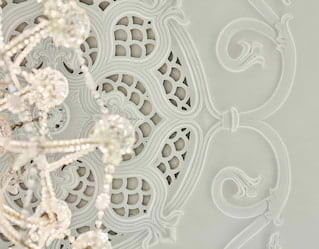 In winter, Salon 28 offers a cosy ambience that makes you feel perfectly at home. Be it a fairytale reception on our lawn or gourmet banquet in the historic Dining Room, our talented team will coordinate every last detail—leaving you free to focus on your guests. 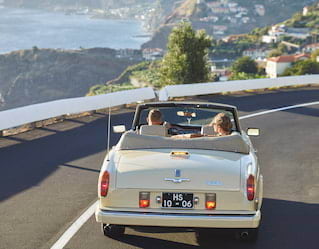 Long considered an island for romantics, Madeira honeymoons are made even more enchanting at Belmond Reid’s Palace. Take a dip in our elegant pool; book in for an indulgent couple's spa massage; or hit the coastal paths flanked by vivid indigenous flowers and fragrant local herbs. Return to sunset cocktails on the terrace before a sumptuous four-course taster menu in our Michelin-starred William Restaurant. From glamorous masked balls and large-scale festivities to intimate group dining or cocktail parties, Belmond Reid's Palace is a stunning setting for any occasion.Whatever your reason for celebrating, our expert service and bespoke approach will leave your guests spellbound. 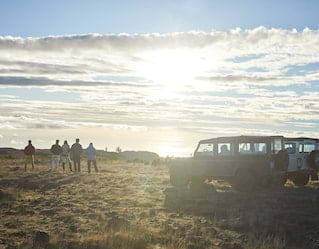 With its semi-tropical climate, lush forests and the roaring Atlantic coastline, there's no shortage of outdoor activities to enjoy in Madeira. Reward top colleagues with a deep-sea fishing or hiking trip; head out for scuba diving; or enjoy a round of golf as part of your own bespoke team-building itinerary.